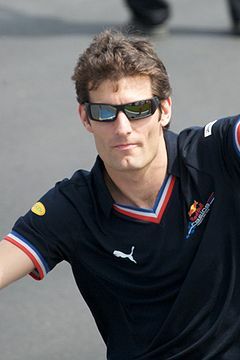 Reports that Mark Webber would either be leaving the Red Bull team after this season or retiring completely from Formula 1 circulated freely in the media before the start of the 2010 season. However, Webber’s position as the current series leader has apparently done more than enough to convince both him and the team that the partnership is worth continuing; BBC Sport reports that the 33-year-old Australian driver has signed a one-year contract extension with Red Bull. The move comes at a unique time for Webber; last week he had a controversial collision with Red Bull teammate Sebastian Vettel as the two battled for the lead at the Turkish Grand Prix. The new deal means that Webber and Vettel will be teammates for at least one more season. “At this stage of my career, I’m happy to take one year at a time,” Webber said in a statement.